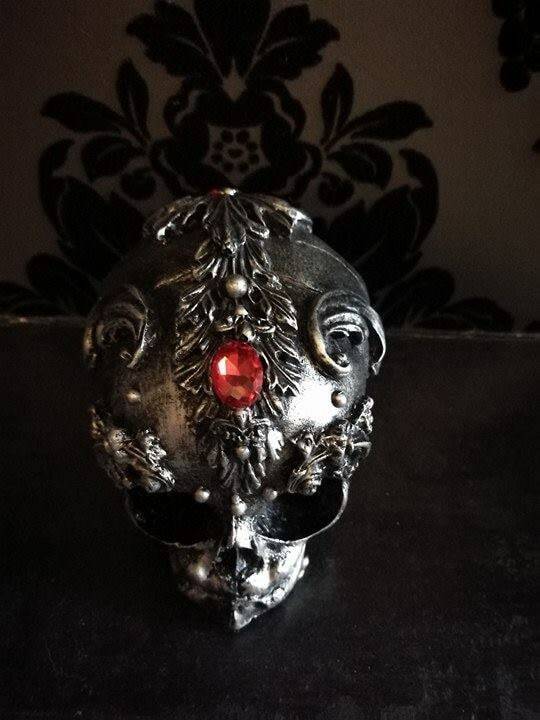 This beautiful (and weighty) skull is perfect for decorating the home! 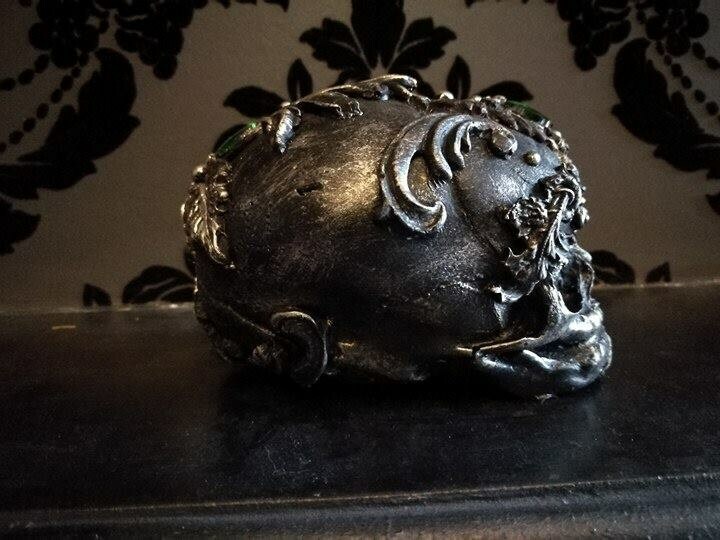 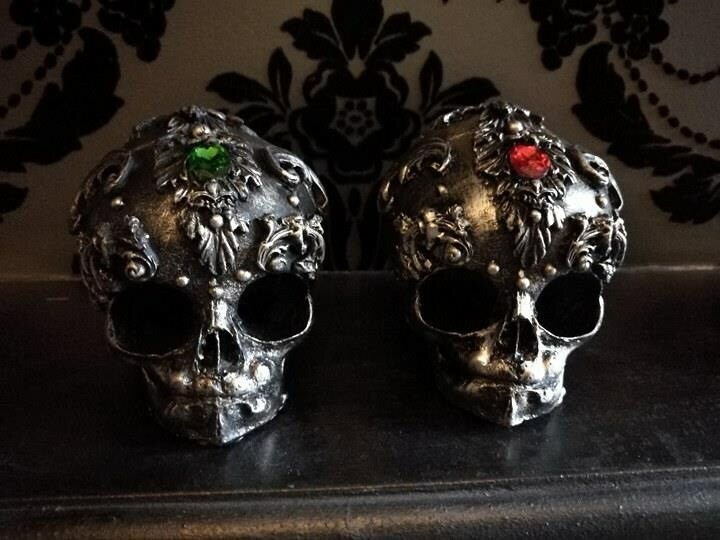 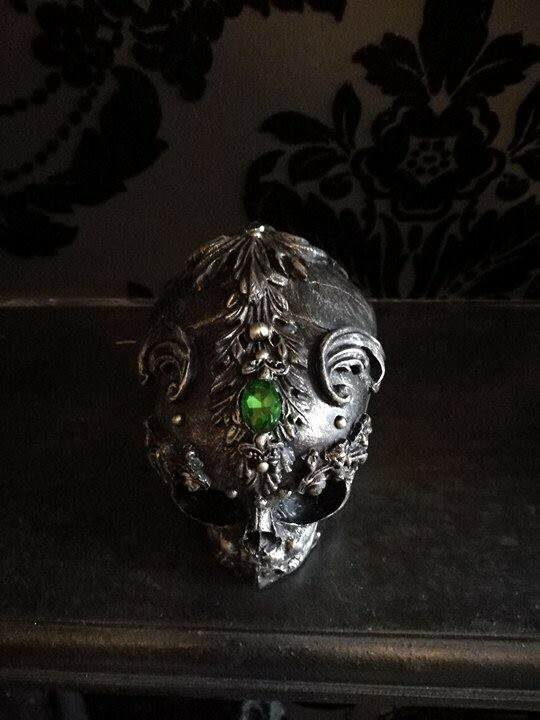 Handmade in rich black resin and covering in silver gilt varnish this skull can be finished in your choice of green or red gems. 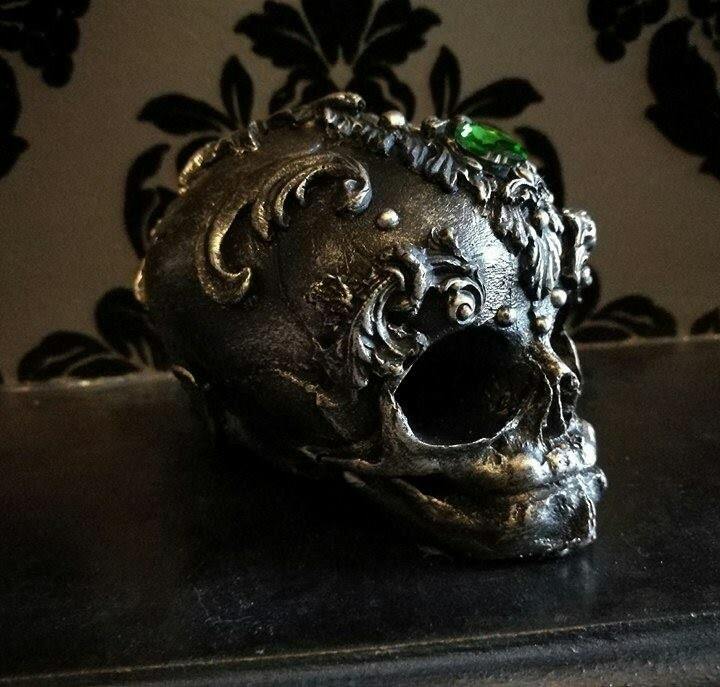 This beauty can be used in a bookshelf, as a paperweight or simply have pride of place on the mantelpiece.